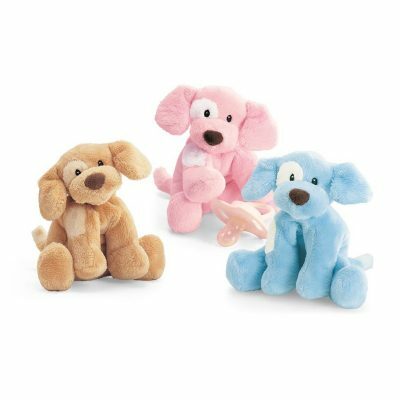 These plush mini dogs are rattles too! The sound is soothing for baby and ignites their senses. 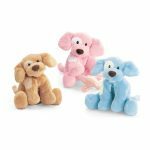 Made of a polyester blend, these dogs are so soft to the touch! 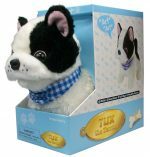 The eyes and nose are embroidered to eliminate any small part choking hazard.